Last summer, two teenage bicycle riders were killed in Northern Indiana by an intoxicated driver. Fort Wayne.com recently reported that the impaired driver who caused the deaths has now pled guilty and will serve 18 years in prison for his actions. While this sentence brings justice for the families of the bicycle riders who were killed, it doesn’t bring back the teens who lost their lives.Unfortunately, these two teens were not the only ones to die in bicycle accidents in Indiana last year. Our Highland accident attorneys know that bike accidents are far too common, especially as the weather grows warmer and more people are out on their bicycles enjoying the spring and summer months. While bicycle riders may not be able to protect themselves from drunk drivers or prevent every bike accident that occurs, there are some things that riders can do in order to reduce the changes of being seriously hurt or killed in a crash. Drivers of motor vehicles also need to be aware that there may be more bicycle riders out-and-about over the summer and should adjust their driving behavior accordingly to make sure everyone is safe. Always wear a helmet when riding. Try to ride in areas where there are sidewalks, bike lanes or trails and to avoid areas where you will be forced to ride along the shoulder of the road. Obey all driving safety laws including speed limit and right-of-way laws. Wear bright colored clothing and use reflectors if necessary in order to ensure that cars can see you. Refrain from bicycle riding at night whenever possible. If you must ride at night, you should have a light on your bicycle and/or reflective strips and clothing. Check your bicycle carefully before any bike trip to ensure that the bicycle is in good working order. You should focus especially on the brakes and the tires to ensure they aren’t in need of maintenance. Wear comfortable clothing that is not too loose fitting and that will not get caught in the pedals of the bicycle. By following these tips, bike riders can hopefully avoid getting into a crash. Drivers of passenger vehicles must also be on the lookout for bike riders and need to be aware that bicycle riders deserve respect just as any other vehicle on the road does. This means yielding the right-of-way when required and giving bike riders sufficient space to navigate safely. 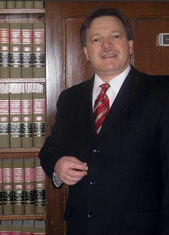 Attorney Burton A. Padove represents bicycle accident victims. If you or a loved one has been injured in an accident, call (219) 836-2200 for a free and confidential consultation to discuss your rights. Gary Injury Lawyers Mark April as Distracted Driving Awareness Month, Indiana Injury and Family Lawyer Blog, March 31, 2013.